Gas Group : I / IIA /IIB. • Zone Protection : Zone 1 & Zone 2. • IP Protection : IP66. • Cable Entry : As per customer specification. Size & type like. 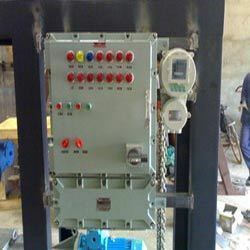 Owing to our wide industrial expertise, we are capable of manufacturing and supplying finest grade Flame Proof Control Panel for Electrical Industry. 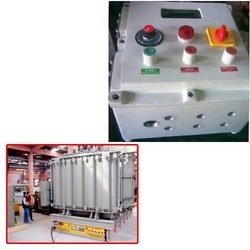 Owing to the advances in technology we are able to develop robust quality control panels that are widely trusted for its power saving performance. Designed with compliance to set industry standards these highly efficient panels adhere to IP66 protection standards and can be ordered from us in application specific types at a market leading price.